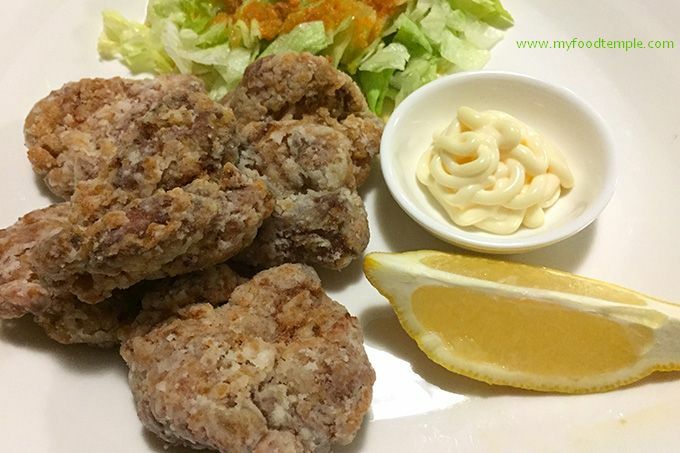 Chicken Karaage is Japanese deep fried chicken – a truly delicious crispy chicken recipe. The chicken is juicy, tender and flavorsome on the inside, and fantastically crispy on the outside with the typical Karaage aged-look finish. I love it hot straight out of the fryer, but it also tastes good cold for a picnic or snack. I started making Chicken Karaage myself when I moved and found there were no great Japanese restaurants close by. When I lived in Melbourne I worked for a Japanese company for years and got taken to all of the best Japanese restaurants 3-4 times a week. In hindsight I was very spoilt, but it led to my love affair with Japanese cuisine. This chicken recipe tastes like the Karaage you will find at the best Japanese Restaurants. I always serve this chicken recipe in the traditional manner with lots of lemon wedges and Japanese kewpie mayonnaise. If serving it as a main course, I add a nice little Japanese Salad (iceberg lettuce with a zingy fresh Carrot Ginger Dressing). This serves 4 as a Main Course, or 8 as an Entree (small plate). Mix chicken into marinade well. Marinate in fridge for 1-4 hours. TOP TIP 1: To serve as a main course, you can add a fresh tasting side salad. You could also add a side of steamed rice topped with sesame seeds. TOP TIP 2: Any leftover chicken can be served cold the next day as a delicious cold picnic lunch. TOP TIP 3: Don't worry if it looks a little blonde when you first remove it from the fryer. Most likely it is still perfectly cooked, but cut one piece open to double check if you are unsure. TOP TIP 4: Take care when you deep fry. Ensure pan is much deeper than oil level. Place chicken in pan very gently. Time the cooking of the chicken. And I've never had this happen, but just remember if you ever have a fire in the kitchen when cooking with oil, never ever use water to put it out! This is what I would do if it happened: place the pan lid back on, turn off the stove and wait a while for it to die down.